Lisa Miller has been a freelance writer since 2008. Her work can be found on Associated Content and eHow. She holds a bachelor's degree in psychology from Missouri Southern State University, and is currently a full-time graduate student working on her master's in experimental psychology. Perhaps the greatest benefit of choosing a temporary tattoo is the short amount of time it remains on your skin. Though temporary tattoos are designed to last for brief durations--normally from two to five days--there are situations when a slightly longer-lasting tattoo may be preferable. With proper care and attention, you can extend the life of a temporary tattoo and prevent it from fading, peeling and cracking before you are ready to remove it. Wash the area you wish to tattoo. Using soap and warm water, scrub the area gently with a washcloth to remove any dead skin cells. Use an absorbent towel to dry your skin. Apply the temporary tattoo to the freshly cleansed skin, according to the manufacturer's instructions. 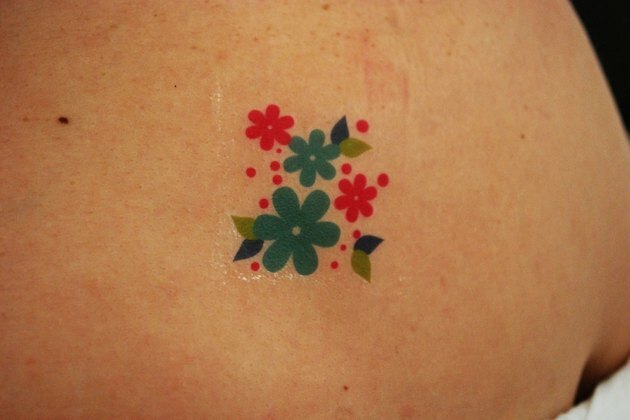 Allow the temporary tattoo to dry completely on the skin. Keep the tattoo clear of clothing, water or lotions. Use a soft brush, such as a makeup brush, to gently apply a thin layer of talc or baby powder to the surface of the tattoo. Repeat this step once a day for as long as you have the temporary tattoo. Avoid scrubbing or rubbing the tattoo while bathing. 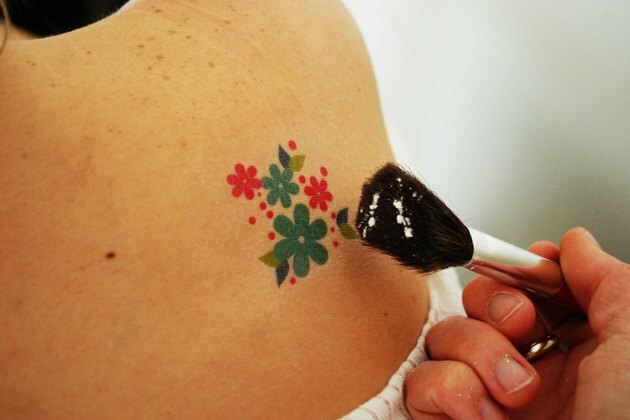 Though temporary tattoos are normally waterproof, scrubbing or washing the tattoo directly will shorten its lifespan. Avoid putting lotions, soaps or oils on or near the tattoo. 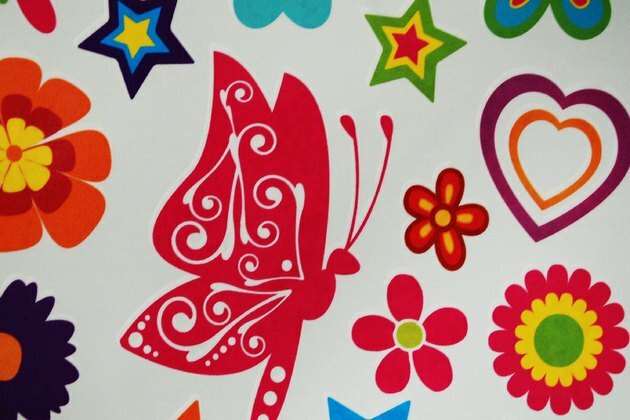 Do not cover the temporary tattoo with tight fitting clothing. Can Lavender Oil Help Scars?